Kshettra, named with a Sanskrit word denoting a holy area, is a progressive / experimental / post-rock instrumental band from Moscow. Kshettra has gone through a number of personal changes since forming in 2007, and today they are Boris Ghas (bass, samples), Viktor Tikhonov (drums, synths, samples), and guests Ramille Mulikov (sax, trumpet, trombone), Nikolai Samarin (synths, bass, mandolin, sitar), and Eugeny Mikhalchenko (narration). Nikolai, from IWKC, also composed the opening and closing tracks (“Conception” and “Crossing”) in addition to handling the album’s sound engineering, mixing, and mastering. Kshettra recorded Five Mothers between April and October 2016, with its release in January 2017. The album consists of eight tracks exploring different abstract soundscapes. I am not certain how eight different tracks relate to the title Five Mothers. The only reference to five is the five different pieces of art by Mila Kisileva. 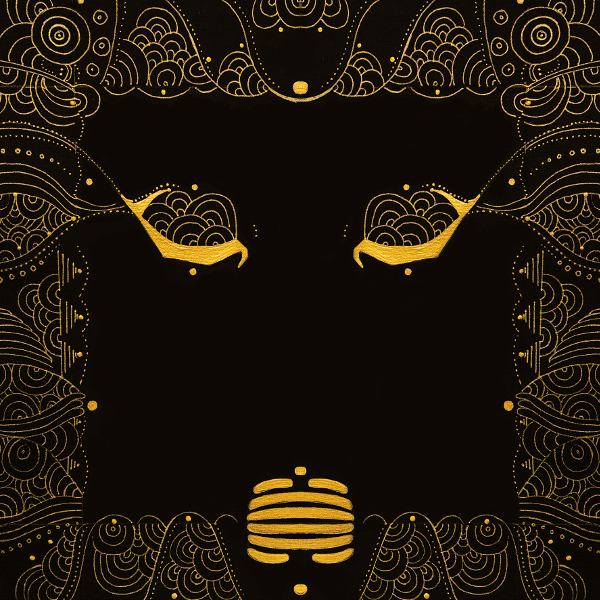 The cover art is an abstract face and the others are stylized pictures of possible Indian deities (dragon, moth, spider, and an alligator-headed woman dancer). There are three tracks in the 10 to 13 minute range and the remainder six minutes or less. All are highly experimental and I find it difficult to picture Kshettra playing this music live in Moscow clubs. These must be clubs frequented by the avant garde and academics. Kshettra’s music requires concentration, be it for the abstract orchestral chords of the opening “Conception” or the longer experimental tracks with rhythmic pulsating synths, scraping noises, bass, occasional brass, and drums. One track, “Walk under the Moon,” features Eugeny reciting a poem written by Boris titled “Drunken Buddha” followed by abstract drones, odd noises, and Ramille’s beautiful trumpet artistry that references Miles Davis. So if you are up for some adventuresome music and intriguing artwortk, Five Mothers might be just what you are looking for.